The Linkage for Type 1 engine with Porsche cooling fan for Weber IDA, IDF and Dellorto carburetors. This linkage is designed for Type 1 engine with Porsche cooling fan system. 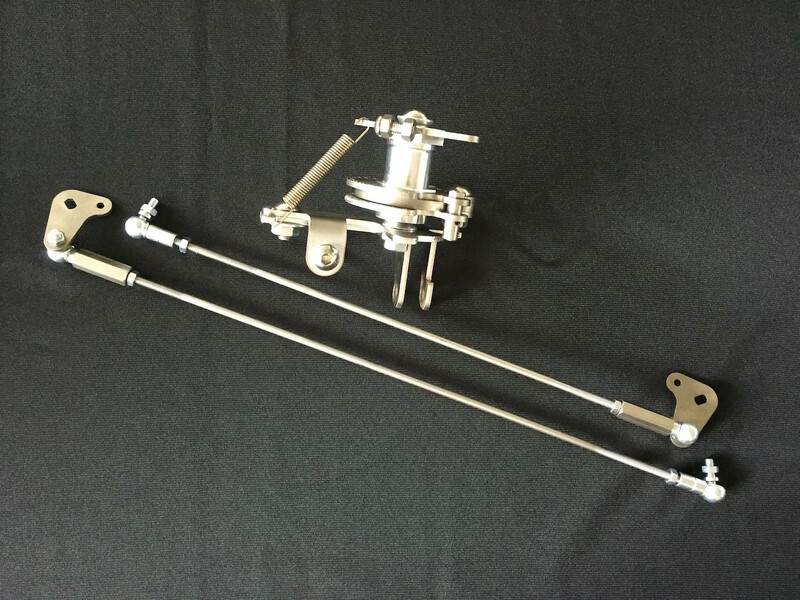 This Pushrod Linkage system has build in “ Quick Release “ which attached to both sides of the carburetor, allowing for removing / fitting without the need to unscrew the linkage and resetting. * The “ Pulley System “ gives very smooth pedal traveling. * Dual ball bearing with return spring included. * Long threaded pushrod that can be fit to wide range of carburetors. * Will not increase the idle speed when the engine running hot. * Accelerator cable guide included for better cable traveling.